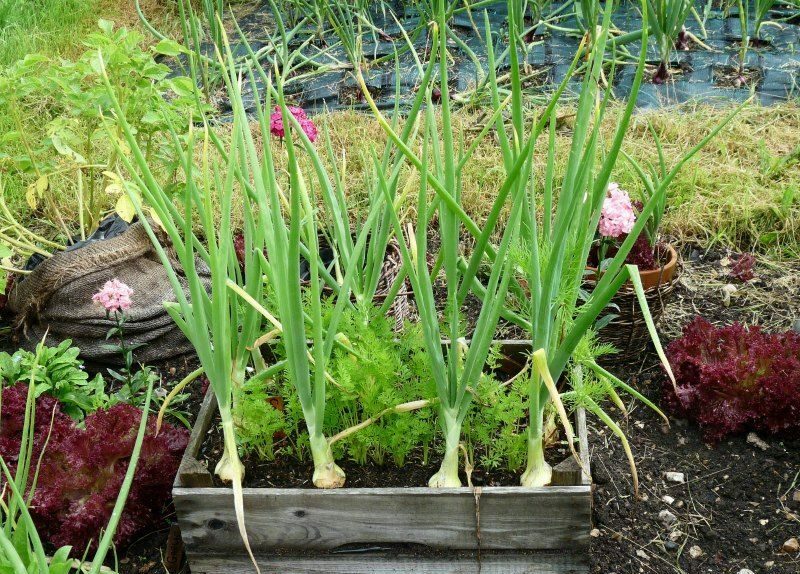 Raised garden beds, also called container gardening, are super for growing a large variety of veggies in smaller areas. Raised beds keep weeds from getting in your soil, stop soil compaction (no walking! ), keep pests such as slugs and snails out, and provide good drainage to keep the roots of the plants healthy. 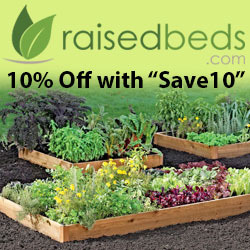 The raised bed sides keep your garden soil from being lost through erosion or heavy rains. In some regions, you can plant earlier in the season. The soil is better drained and warmer because it’s elevated above ground level. Perhaps the most important benefit is greatly reduced soil compaction. Plant roots need air. In an ordinary garden, you can’t avoid stepping in the garden bed occasionally when doing your everyday gardening. A properly designed raised bed garden allows you to do all your gardening from the garden path. Plants can be spaced a closer together in a raised bed because you don’t need any walkways between the rows. The productivity per square foot of bed increases and weeding is reduced when the plants begin to mature. Note: Avoid the temptation to crowd your plants. You will still want to use generous plant spacing because your plants will grow much larger in raised beds. Excess water tends to drain better with raised beds than with ordinary garden beds. The plant roots can breath better and keeps your plants healthy, producing more fruit. In many areas of the south, like Florida, that have heavily saturated soil, raised beds may be the only way you can grow many types of plants. Soil conditions and types can be controlled more efficiently in a raised bed and they can be varied easily from bed to bed. Raised beds are the answer when topsoil is thin. Water, fertilizer, compost, mulch, etc. can be applied more carefully because they only need to be applied to the garden beds. 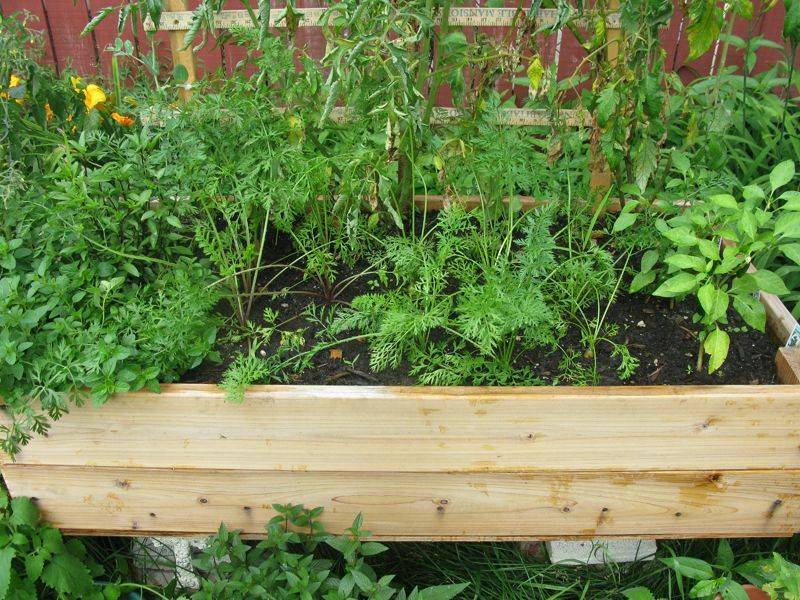 Raised garden beds typically produce up to 2 times as many vegetables as ordinary beds per square foot. 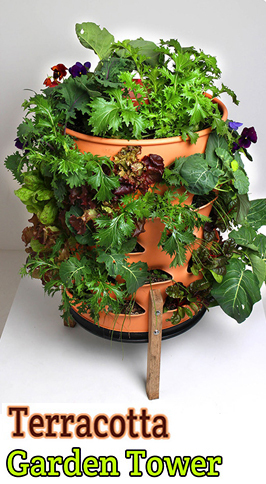 Your garden is smaller and more manageable and produces more sumptuous veggies for your table. Then, there are advantages for you! Raised garden beds bring your garden closer to you. Raised beds are, after all, raised! Raised beds tend to bring more order and pleasing geometry to your garden, especially when forms or edging are used to define them. Raised beds can extend your gardening season. They tend to warm up a little sooner in the spring and remain productive later in the fall. Do your gardening from the comfort of the garden path. No more bending over to pull weeds or trim plants. Sit on a stool or put a seat board on your garden wagon!